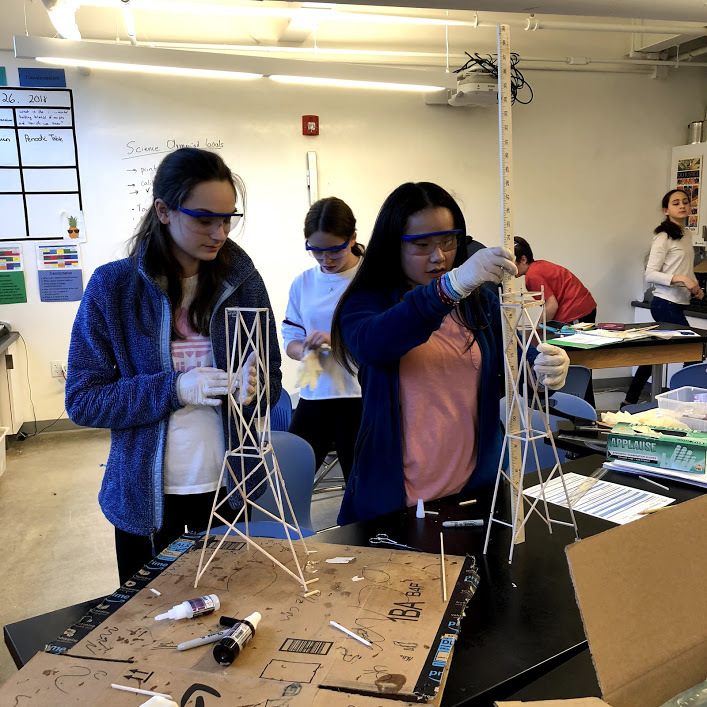 On March 3, after months of preparation, 26 students from the Middle School traveled to Worcester to compete in the Massachusetts State Science Olympiad. Atrium students faced tough competition against much larger teams from other independent and public schools. Nevertheless, each of Atrium's students placed in the top 10 in their division in at least one of their events, and even won the school's first gold medal. Atrium's regular team placed 5th out of 30 teams in the competitive division, in the top 10 in 16 out of 23 total events. The results showed incredible growth from last year, when the team was 9th overall with half as many placings. The alternate team placed 4th out of 28 teams in the alternate (junior varsity) division, and also placed in the top 10 in 16 out of 23 events. Students started Olympiad preparation in November, meeting twice a week for 1.5 hours each session. Many of the students worked additional hours on weekends, February vacation, and optional Friday practices. Atrium's Science Olympiad team began three years ago, under coach Laura Page's supervision. Since then, it has grown exponentially, to the point where the program now includes more than half of the Middle School. One parent volunteered to be a coach, and countless others helped in myriad ways–all of whom deserve praise and thanks. 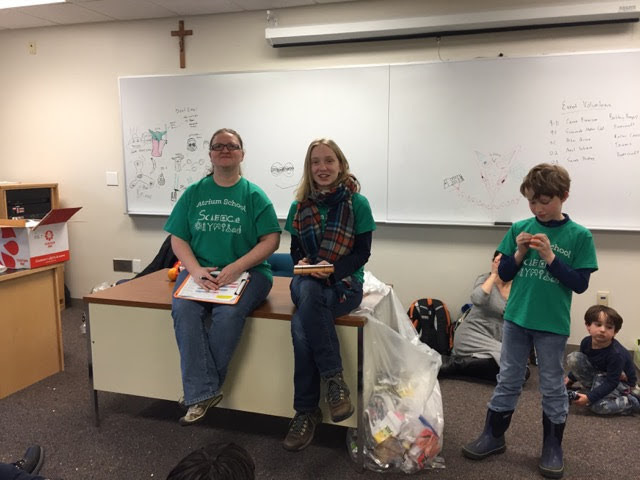 "I’m always blown away by what students learn while working on this competition," said Erika Montana, one of the Science Olympiad coaches. "As a teacher with a background in science (I got my B.S. from MIT in Biology and Chemistry), I think of myself as reasonably well versed in things middle school students should know, but in this competition they must outpace me. It is literally impossible for me (or Laura) to know everything that they must know for all 23 (or even 10) of their events." She added, "They learn so much, not only about science and how to teach themselves about different topics, but also about teamwork (students are often paired with people who are not in their grade level), organization/planning, the engineering design process (improving failed designs), and dealing with stress, frustration, and disappointment." Not only did the students do an impressive job with the scientific competition, their teamwork and support skills were also on display. "They did spectacular work, not only in their events but in the way they supported each other and even students from other schools," Erika said. "I heard so many stories of lending some one a pencil, or running notes across campus to get them to the right event. Competition day abounded with the joy and kindness of our students and it was wonderful to be a part of." Read the Winter 2018 Compluvium!